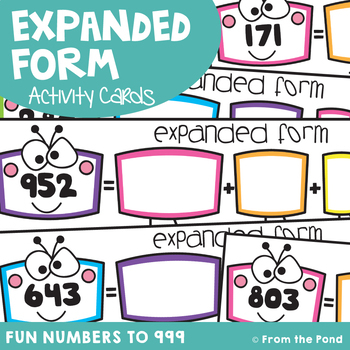 This printable pdf file will allow you to print and make 54 activity cards to help your students learn to expand 3 digit numbers. 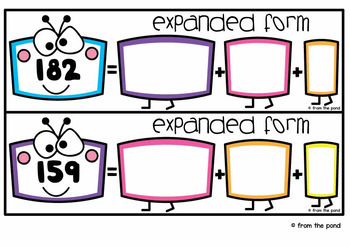 You will need to laminate these cards and use them with dry-erase (whiteboard) markers. A recording worksheet and resource folder cover page are included. Find more fun games, centers, printables, worksheets and crafts for PLACE VALUE in my TpT store HERE!